When we gave our lives to Jesus, we became one with Jesus. We were cut from the wild vine and grafted into the true vine, Jesus. True nourishment flowed into our branches, and people began to see a difference in our lives like sweet clusters of grapes. We still had a bit of wildness in our branches, and the Father cut the wild parts out. Sometimes, it was painful … old habits, friends, possessions. Once those wild parts were pruned, more changes, more opportunities to serve the Lord occurred … more fruit. His Words must be deep within us. They are the nourishment that brings “much fruit.” If His Word is planted deep within us, we will ask according to His will, and we will receive our wishes, so that we can bear much fruit. His love will dwell in us if we keep His commandments. If we abide in Jesus, His joy will dwell in us, and it will be full. Please share with us how Jesus has filled you with joy today. Father, thank You for cutting us from the wild vine and grafting us into the true vine. It hurts when You prune us, but oh, how we love the sweet fruit it produces! Thank You for the words of Jesus. Teach us how to meditate upon these Words of Life day and night. Empower us to abide in Jesus and His love. Thank You for supplying all we need to produce fruit as we rest in Jesus. This was a meditation spurred from Chapter 3 of the Your Sacred Yes workbook by Susie Larson. You can download the free workbook at her site. I have 36 rose bushes. Roses are beautiful, and they take work. From spring to late fall, I’m pruning, feeding, and talking to my roses. 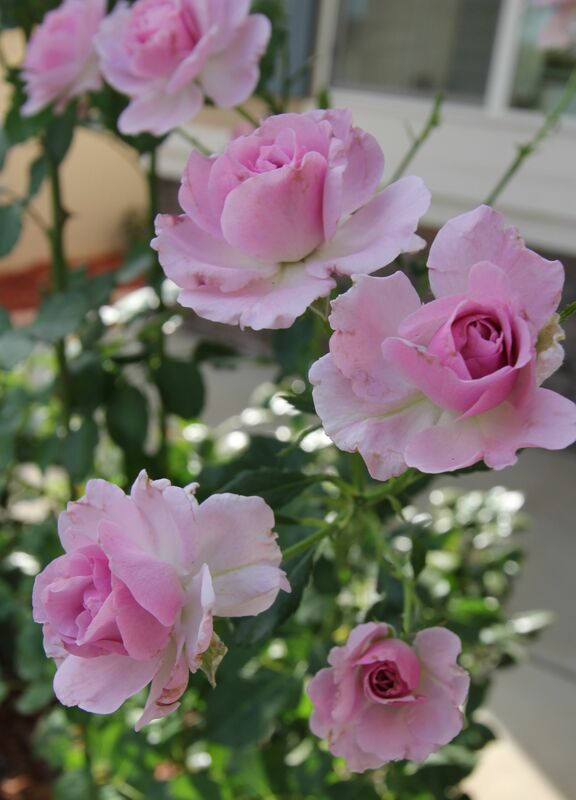 My floribunda roses take more meticulous time; they grow in clusters. This bush develops three buds together. The middle bud always blooms first. Once it begins to wilt, the two on either side bloom. If I leave the middle dying rose, it ruins the bouquet, and attention is drawn to the dead bloom. 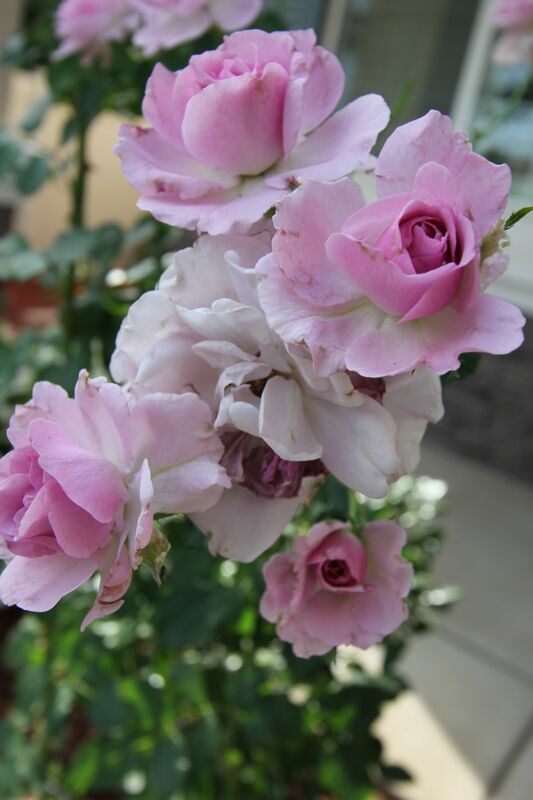 More importantly, if I were to neglect cutting out the dead flowers, my rose bush would quit producing blooms. Isn’t that the way our Christian walk is? We walk along praising the Lord and doing work for His kingdom. If we’re not careful, our praise turns to grumbling, and our works turn to frustration. 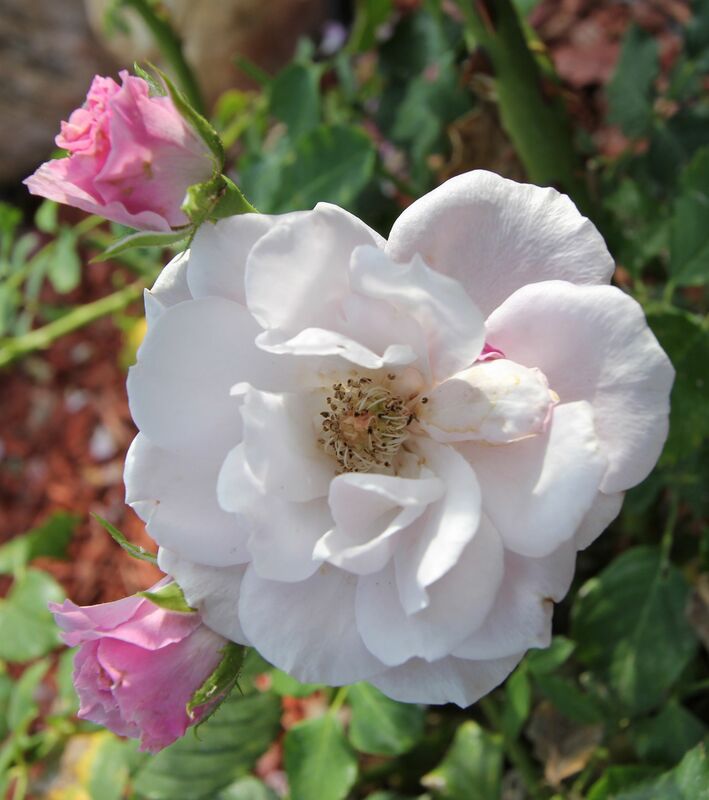 From over a decade of loving, feeding, and pruning my roses, I’ve learned three things that are also essential to my Christian walk. A focus on beauty, on fragrance, on the fresh blossoms and fruit. Father of all that is beautiful, may we walk with You in holiness. Quicken our spirits to recognize how You are loving us, feeding us, and pruning us. Enable us to see You at work in us and yield to your sanctification. Empower us to be a fragrance to You and all who come into our paths. What are you learning from your walk with Jesus?